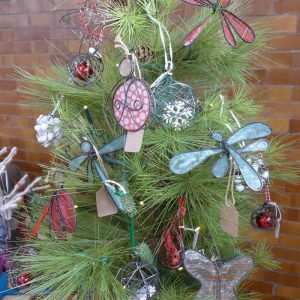 Blue and Brown Dragonfly Ornament made from steel wire and wax-dipped paper. 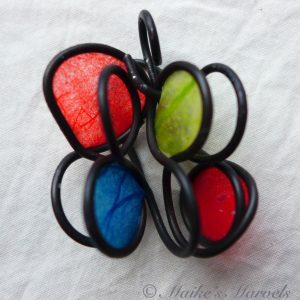 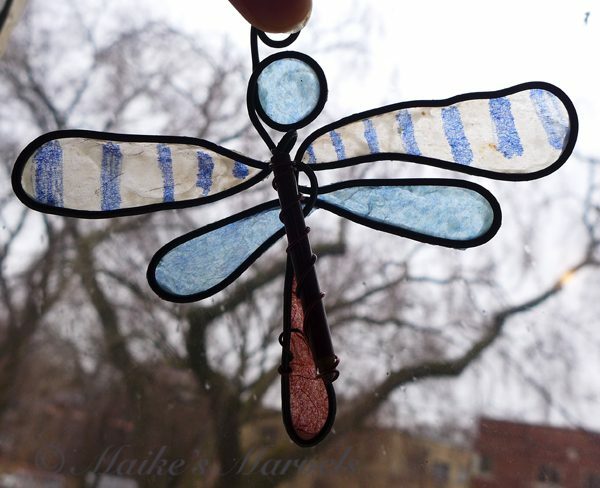 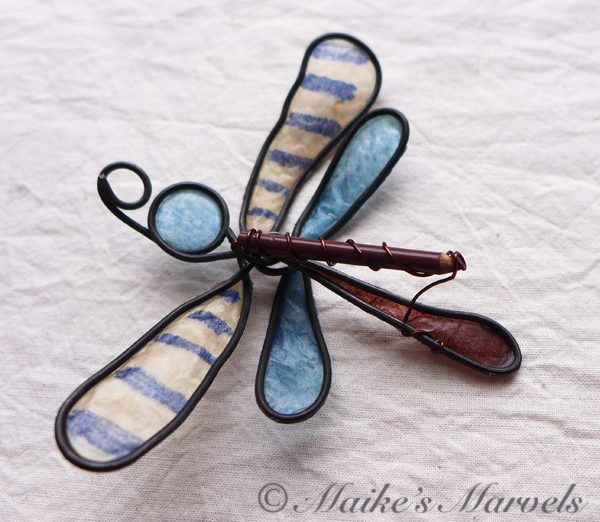 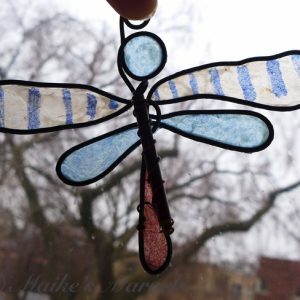 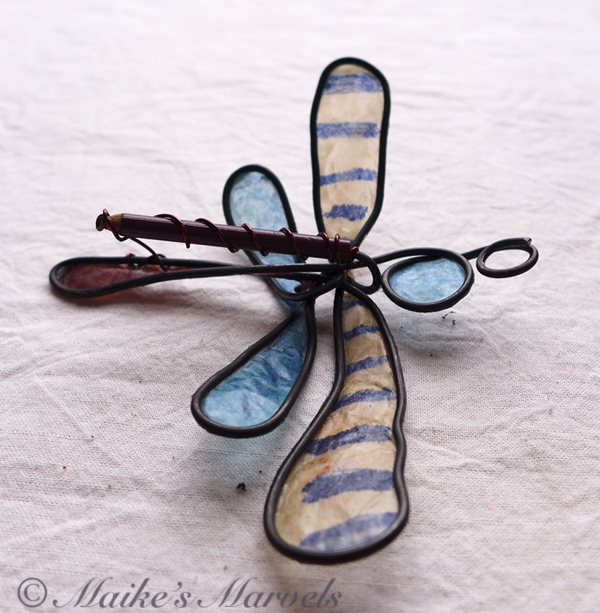 As I was making dragonflies for the Swarm show, I decided to add a little artistic nod as well. 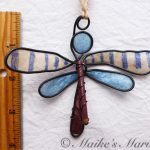 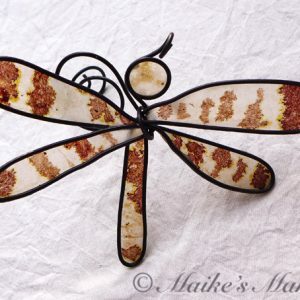 Patterned after the skimmers I love, this whimsical dragonfly holds a mini-pencil and is ready to draw along with the artist in your life. 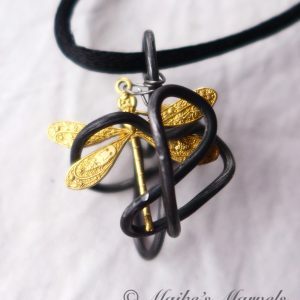 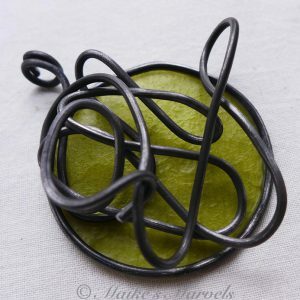 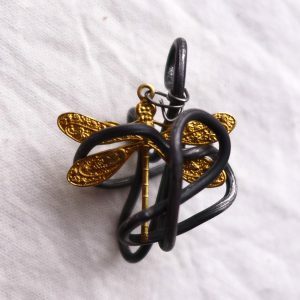 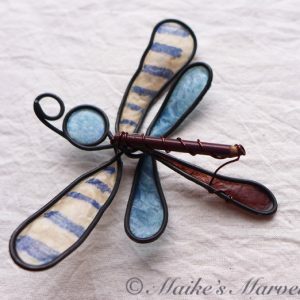 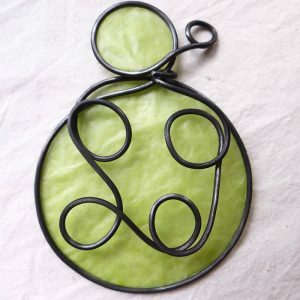 I jigged a dragonfly fromÂ 26-gauge steel wire.Â I wrapped a small brown pencil around the body of the dragonfly. 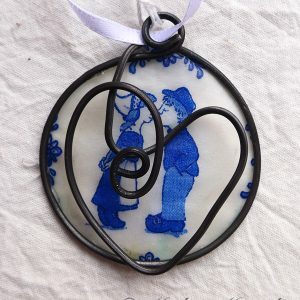 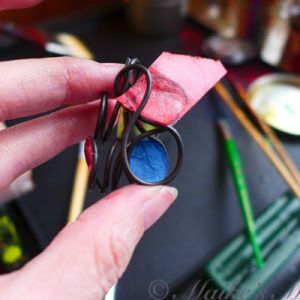 Then I dipped blue and brown tissue paper and a hand-striped teabag into encaustic medium (a beeswax and resin mixture) and adhered it to the shape. 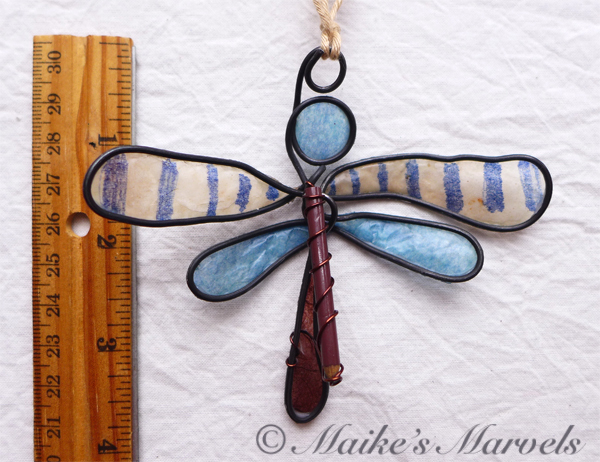 This dragonfly has a wingspan of 4 1/4 inches and measures 3 3/4 inches long. 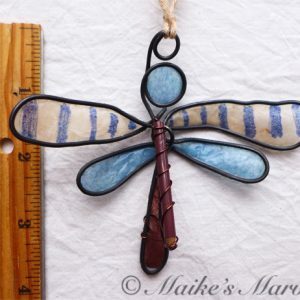 The pencil gives it a depth of 3/4 inch.